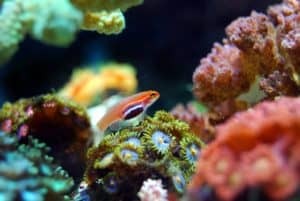 For a fish-hobbyist, keeping the aquarium water healthy and clean is very important. The Fluval brand is contributing to this by building successful filtration systems. In this article, I’ll introduce you to the Fluval 406 canister filter. It has amazing functionality and filtration system that provides the cleanest and healthiest aquarium environment. In this Fluval 406 canister filter review article, I am going to provide every detail of it’s features, specification, set up process, user manual, pros, and cons. At the very end, I will put my honest opinion if you should invest in this filter. 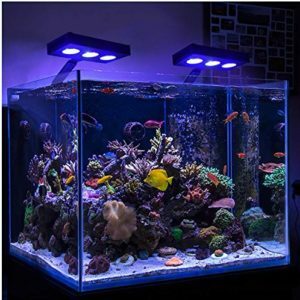 Why is Fluval Brand so popular? How Does Fluval 406 Look? 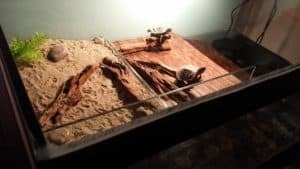 What Is the Building Material of Fluval 406? 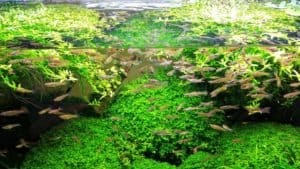 How Does Fluval 406 Work? 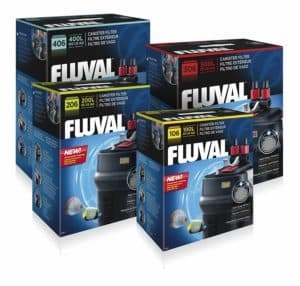 Fluval is a leading brand that offers aquatic products that are advanced and innovative. It has a proud history of winning the heart of fish-hobbyists for 30 years. This company has been consistently making a reputation in the global market for producing technically developed products. It was 1982 when Fluval first started making canister filters. Till now, it has been the only reliable name in the aquatic products market. They provide convenient, dependable and easy to use canister filtration systems. Fluval products have achieved a special place in people’s heart for its splendid filtration capacity. 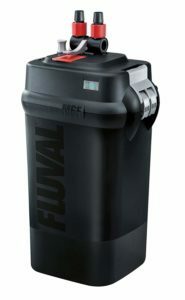 The Fluval 406 Canister Filter is a unique designed external canister filter. It is very efficient and needs fewer maintenance requirements. Comparing to other filters, this works faster and better. If you are looking for an external canister filter that filters your tank in an easy and smooth way, then you can absolutely go with this one. As I have said, it is a less maintenance filtration system, you don’t need to worry about the cleaning and maintaining quite frequently. This filter works more efficiently with its additional features. Like- for easy hose disconnections it has original Aqua-Stop valves, for simple cleaning as well as maintenance it includes lift-lock clamps that work in single motion. And for mechanical, chemical and biological filtration there are multiple removal filtration baskets. It is suitable for both fresh and salt water. This filter is suitable for aquariums up to 400 L (100 US Gal). The Fluval 406 canister filter comes in a nice square-shaped box design. It contains 35 to 50% water than round shaped canister filters of the same size. It is 25 X 20 X 50.8 cm (10 X8 X 20 in) in dimensions. This filter is built on the base of Fluval 05 Series filters. The best part of this filter is that it comes in a compact space-saving design. It can comfortably fit into any aquarium cabinet. It is very silent, so it won’t disturb the fishes in the aquarium. It is necessary to check the building material when purchasing a canister filter. As the Fluval 406 canister filters’ base material is high-quality plastic, it is rigid enough to be suited in an aquarium. Plastic helps it to be lightweight. So that it can provide high flexibility. Also, being light-weight makes this filter highly portable and efficient. The Fluval 406 canister filter works in an innovative way that delivers many practical benefits. Its working method includes less maintenance frequency, rapid setup, and silent operational system. It can filter up to 380 gallons of water per hour. With a natural lift clamp, you can easily attach and remove it. Thanks to the aqua-stop valves, this filter has a water-tight enclosure. Without stopping the pumping, you can disconnect the hose. This eliminates the need to prime it again after removing the hose. You get the facility of customizing the filtration system with removal baskets. This allows you to add filter media of your own choice. Increased flow rates as well as head pressure. For purer and healthier water, it has enhanced water filtration system. Adjustable for aquariums up to 100 gallons. Endowed with a smooth intake strainer that doesn’t get clogged and a foam screen that has two layers. 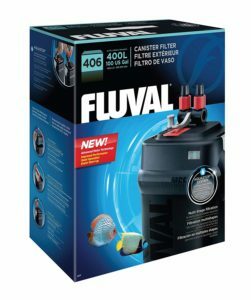 The Fluval 406 Canister Filter manual consists of information about the specifications, warranty, safety information, problem troubleshooting. There is also a setup guide, maintenance tips, other relevant instructions. 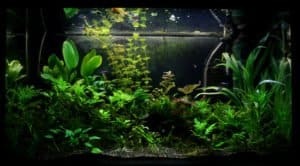 You can read it briefly on https://www.fluvalaquatics.com. You will enjoy 3 years limited warranty from the day of purchasing Fluval 406 Canister Filter. This warranty period is valid only for defects caused by the manufacturing process. For a replacement of parts, you need to show 100% accurate proof of buying the filter. Also, you need to return the filter with all necessary parts of it. Although the Fluval 406 canister filter may have some issues, I think it is great for handling medium as well as big sized aquarium. I know it can be a little bit expensive, but nothing good in this world is cheap. According to many customer reviews, the filter is long lasting, durable and very efficient. Don’t just listen to my words, go and get the Fluval 406 canister filter for your aquarium. I definitely think you’ll get your money’s worth with this canister filter.